Living Wage Town Hall: Nova Scotia Needs A Raise! Nova Scotia needs a raise! Right now, minimum wage is not enough to pay for the rising costs of rent, food, transportation, and the other necessities of life. A living wage is the rate of pay required for workers to afford a decent quality of life. Here in Halifax, we feel that $15/hour would be fair living wage for workers. 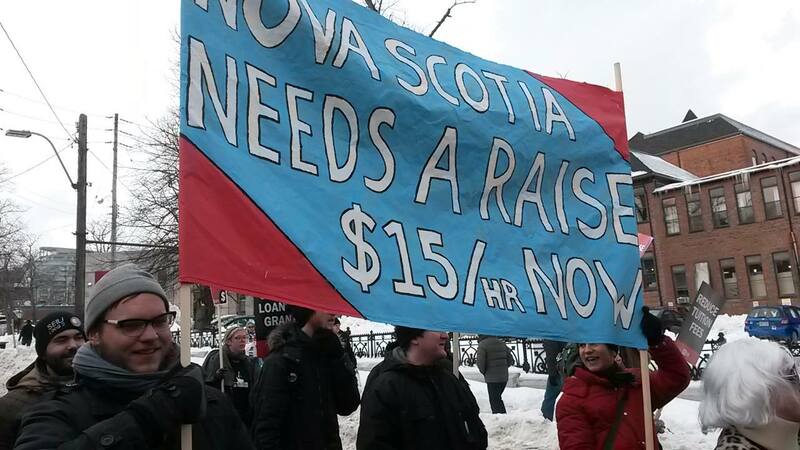 Workers, students, families, and low-wage earners across Nova Scotia are coming together to demand a living wage. Join us for the launch of new campaign! This event is being organized through a coalition between ACORN Nova Scotia, the Canadian Federation of Students, the Halifax-Dartmouth & District Labour Council and Solidarity Halifax.